How Do You Get Work Done When There's 100 Events In One Week? I attended my first Philly Tech Week (PTW) in 2012. There weren't a ton of events, but my notes say I attended 14, and scheduled another 8 meetings in between events. Pretty intense, especially for someone who leans introvert. 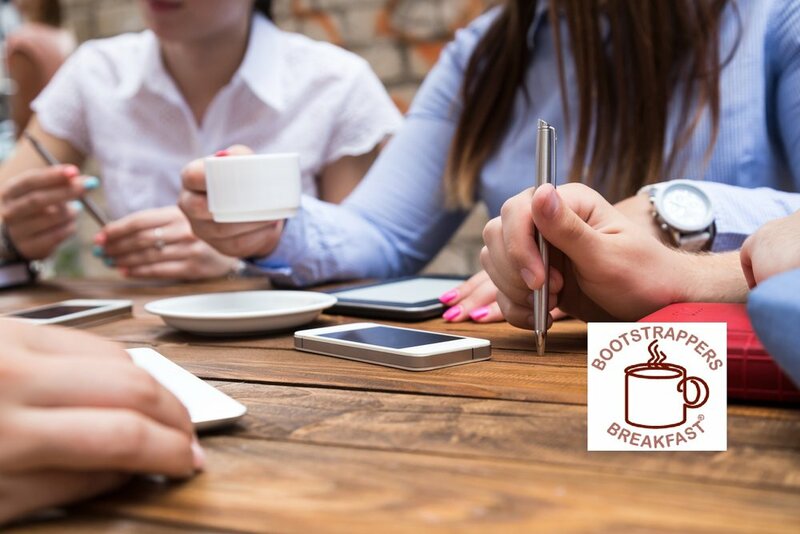 That year I also hosted the first Philly Bootstrappers Breakfast during that week (more on that below). PTW over the next few years grew to nearly 150 events, and the more there were, the fewer I attended. Only 2 events one year. It's been curated down to 100 events now and is a super week of things to learn, people to meet, and communities to join and support. I now limit myself to 5 to allow time for clients and to preserve energy and sanity :-) For PTW 2018, which 5 will it be? The name speaks for itself. Let's start with something fun and relaxing, where we're able to meet and chat with people. And I really like The Yard location. This is the start of our SIXTH year doing Bootstrappers Breakfast during PTW. We've had super good facilitated (coached) Mastermind sessions and great guest speakers. This year we'll hear from leading Product Manager Joe Cotellese who is bootstrapping his startup, Sharey, by doing some coaching with Trajectify. I've been going to these since nearly the beginning. It's an amazing chance to mingle with 1,000 fellow entrepreneurs and techies, celebrate startups and young companies, and enjoy food and drink. For the first time, Trajectify will host a booth where you can meet us and some of our clients. This will be at the Franklin Institute, so fun and learning will be guaranteed. From Start Ups to Scale Ups, Israel has risen to be one of the most prolific nations for technology and innovation. The Philadelphia Israel Chamber of Commerce (PICC) is bringing three Israeli companies to pitch to Philly. I'm on the Board and will have the opportunity to interview for the audience Guy Fardone, CEO of Evolve IP about its acquisition of an Israeli company. Our good friends at MakeOffices will host the event. Start the week with a party, finish with a bigger one. Entrepreneurs and Techies take over the Reading Terminal Market for a night of networking, entertainment, food and drink. You'll notice I don't have anything on Thursday. Well, it's the holiday of Lag BaOmer, of course. Actually, it's time I have reserved for myself and my clients given I didn't feel compelled to attend any of the events scheduled for that day. I still get in my 5 since I'm going to 2 on Tuesday. Darby Dupre, who recently joined Trajectify after having moved from Austin to Philly, will be with me at some of these events. She shared a list of others that she'll be attending. Be sure to look for her around and let her know how awesome we are! If I count correctly, Darby may be at 10 events this week. Maybe it can be her Philly version of SXSW. We're doing a Trajectify Live Business Growth Masterclass on June 11 in Philadelphia at the Science History Institute. It's a packed day of coaching, expert speakers, and inspirational entrepreneurs. There will be presentations on sales, marketing, podcasting, video marketing, public speaking, and leadership. We'll hear from two entrepreneurs who have built multi-million dollars businesses in only a few years. Learn more here, but don't miss it. Come from wherever you are (we'll have a block of hotel rooms reserved for you). Well, that's too much for now. For those in our region, see you next week!